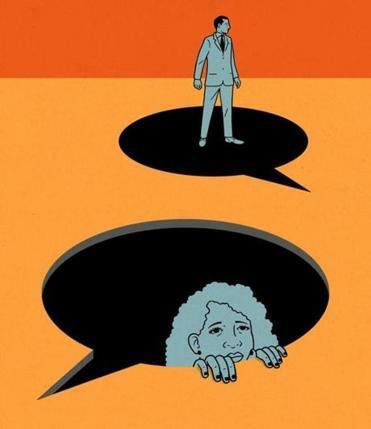 New research shows women internalize criticism, while men let it roll off their backs. Could a radical attitude shift provide relief? Ladies, can we talk for a minute? I hate to be the bearer of bad news, but I think it’s time we discuss how we handle negative feedback. Don’t worry, you didn’t do anything wrong — in fact, that’s the entire point. It’s just that I’m looking at some new research that can help explain the chasm we see in our career trajectories when we compare them with those of men. But to make sense of it all, first you have to promise me you won’t take it the wrong way. Getting feedback is an integral part of the learning process. In the most basic sense, it’s how we learn right from wrong as children, and it creates a base line for social skills (“don’t touch the stove top,” “excellent job cleaning up,” “please don’t tell Grandpa that he smells funny”). As we mature, we begin to internalize feedback and let it shape us into who we become. And therein lies the problem for most women . . . including this one. I was a straight-A student in high school, but after struggling with calculus in my junior year, I opted out of taking Advanced Placement math as a senior. I told my parents that the lagging grades were proof that math wasn’t my strong suit, yet deep down I knew I didn’t want to face failure and risk getting anything less than an A. That choice shaped the way I thought about myself as well as the decisions I made later, like changing my major in college because I wanted to avoid taking statistics. I had internalized being “bad at math” and wasn’t willing to take the risk and try it. The question of how setbacks can shape women’s decisions lies at the heart of new research out of Wellesley College. In a forthcoming study, economists G. Kartini Shastry, Olga Shurchkov, and Lingjun “Lotus” Xia looked at how men and women interpreted success and failure in a controlled environment. The researchers gave participants a spatial reasoning test, telling subjects that their scores would be based on two factors: their skill at answering questions, and a little bit of luck. Their research found that women repeatedly internalized negative feedback in ways that were detrimental to their success. In the study, the control group didn’t receive any feedback. The experimental group received feedback based on their own performance and chance, which included whether the competition performed better or worse. Then both groups had a choice: They could get paid based on how many questions they answered correctly, or they could choose whether to challenge their peers, tournament-style, in an attempt to earn a bigger prize. The researchers found that when women didn’t receive feedback, they could accurately assess how well they had done on the test and, if they had higher ability, were more likely to enter the competition for the bigger prize. But when women who received feedback learned that their results didn’t stack up against their peers — even though luck was a factor in how well they scored — they were more likely to pull themselves out. Men, however, tended to opt for the tournament no matter how they scored — or whether their feedback was good or bad. Shurchkov and her coauthors went one step further with their study: They asked the participants why they believed they earned the scores they did. The findings confirmed the economists’ hypothesis: “Men attributed unexpected bad news to bad luck, but women attributed unexpected bad news to ability,” Shurchkov says. This was a controlled study, but its implications play out in real-life scenarios, such as performance reviews and coursework grading, says Katherine Coffman, an assistant professor of business administration at Harvard Business School. Like the Wellesley professors, Coffman uses research experiments to look at how women and men make choices in high-stakes competitive environments. In her previous work, she found that even when men and women are just as smart in a subject area, women tend to be more hesitant to risk losing points on multiple-choice tests that penalize students for wrong answers. This is the exact scenario she saw play out in the college entrance exam given in Chile, which is the subject of a recent report she coauthored with economist David Klinowski. Until recently, the Chilean exam was designed to penalize students for answering questions incorrectly while awarding zero points if they skipped questions altogether. In that structure, researchers found that women were more prone to skipping questions than men were. But when the education system removed the penalty for answering questions incorrectly, women skipped fewer questions, and the discrepancy between women’s and men’s test scores shrank. In Chile, removing penalties diminished the gap by about 10 percent. Major testing companies, like the College Board, have been paying attention to such findings, and many have recently removed the penalties from their tests, ostensibly to eliminate such issues. Instead, women should ask for feedback constantly and do something with it, Bates says. “I’ve found that male or female, the executives who are the most successful are the best at taking feedback, and they seek it their whole lives.” Building that feedback-seeking “muscle” helps people be more willing to take risks in the long term and makes them more resilient, she says. It’s also important to put negative feedback in a context that can help you work toward your goals, she adds. Bates offers herself as an example: When her college journalism professor told her that her radio scripts were lacking and she should think about another career, she took what she wanted from his critique. Her writing suffered in part because she’d never really learned to type, she realized, so she enrolled in a typing class. She became the only person in her journalism class to land a job in the industry before graduation, then spent 20 years in broadcasting. Now she advises executives at Fidelity, State Street, and Boeing on how to give and receive feedback in ways that help both them and their companies get ahead. 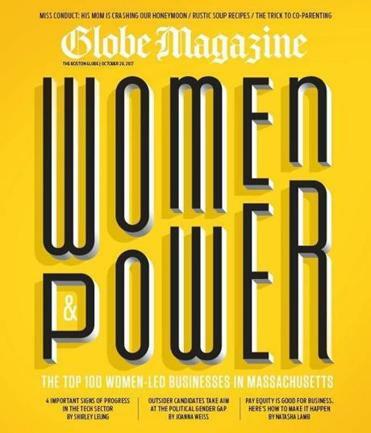 “Regular feedback from a manager is a gift, and every woman should say to herself, ‘Thank God I’ve got feedback,’ ” Bates says. So listen, ladies: Don’t let setbacks get the best of you or allow you to give up on yourself. Which reminds me — does anyone have an AP calculus book I can borrow? I have some catching up to do. Janelle Nanos is a Globe staff writer. Send comments to janelle.nanos@globe.com. Get the best of the magazine’s award-winning stories and features right in your e-mail inbox every Sunday.Sign up here.